This was the most exciting thing for me to see on my visit to Brooke's place. Brooke and Olwyn's Greengables scallop shell wall pocket. I bumped into Kat after visiting Brooke. 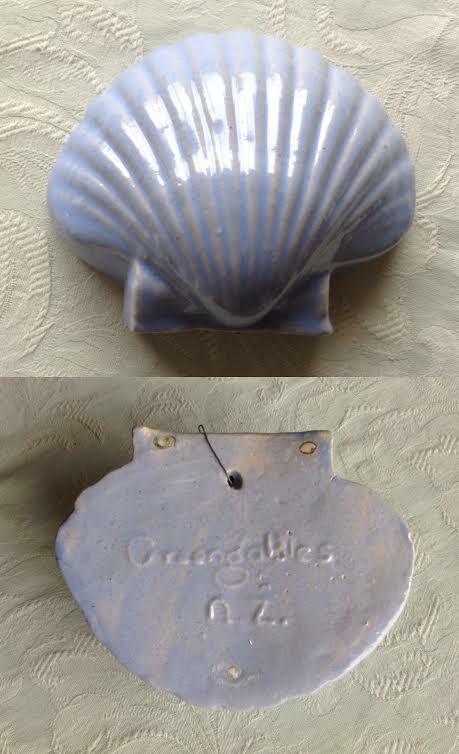 She suggested this was likely cast from a shell on the beach and I'm inclined to agree.